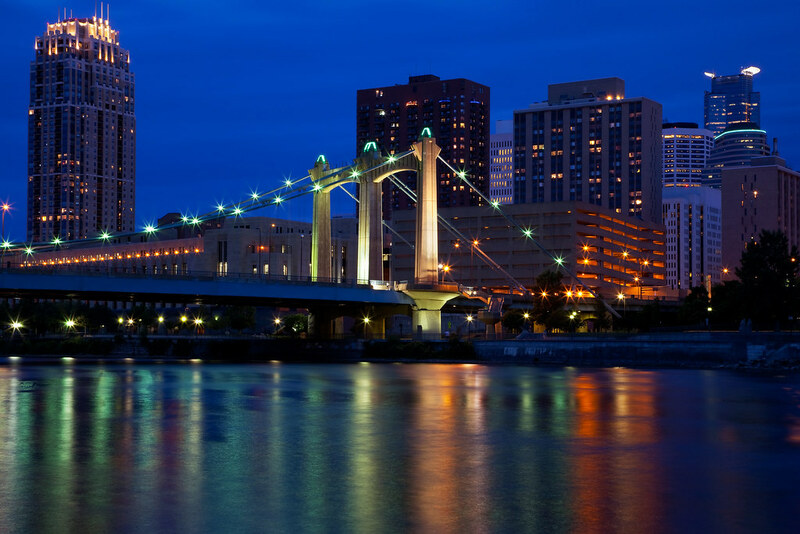 The photographer says: The beautiful Hennepin Ave. Bridge spanning the Mississippi River leads you into the Minneapolis Skyline as a blue dusk sets in. This particular shot was taken from Nicollet Island looking West. I hand blended two exposures in photoshop. One at 30 seconds and one at 5 seconds both shot at F/22. I used the 30 second exposure as a base to smooth out the water and get nice star patterns on the bridge lights and the 5 second exposure to control the lighting of the buildings.